NAPLES is a beautiful city of vibrant contrasts, with restaurants full of a number of tastes, textures, and cooking techniques. 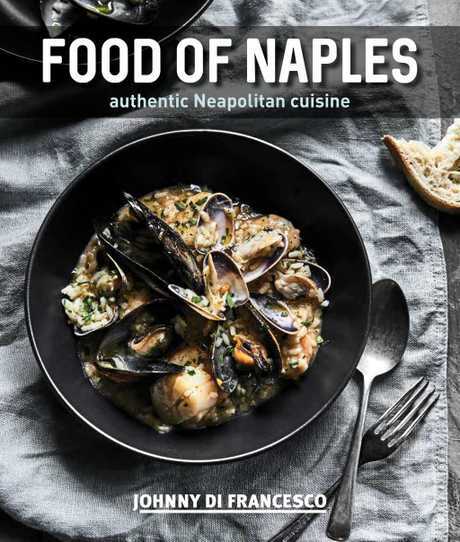 In Food of Naples - Authentic Neapolitan Cuisine, chef Johnny Di Francesco takes readers on a personal journey deep into the heart of his childhood Naples and captures the amazing recipes of the city and surrounding areas. He shares a recipe with Weekend readers. METHOD: Dissolve the yeast in some warm milk until it becomes frothy. Put the flour and sugar in a bowl and make a well in the centre. Add the yeast mixture to form a soft, sticky dough. Add a little more milk if the mix is too dry. Shape into a ball and knead until smooth. Place in a bowl and leave in a warm place to rise to double in size. 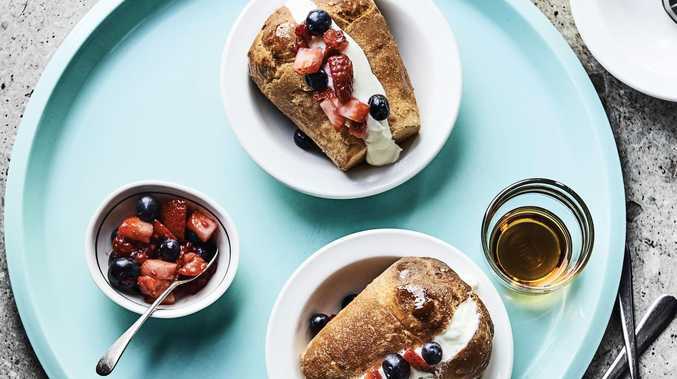 When it has doubled in size, remove and incorporate the remaining ingredients, kneading well to ensure it is mixed and becomes smooth and elastic. Pour the dough into a lightly greased and floured baba mould. Cover with plastic wrap, leave in a warm place and allow to rise to the top of the mould. Bake at 180C for 20 minutes, or until golden and cooked through when tested with a skewer. While cooking keep the oven door closed at all times until ready to test with skewer. Meanwhile, make the syrup for the baba. Place the water, sugar, lemon zest and a few drops of the rum extract in a pot and bring to the boil until the sugar has dissolved. Remove from the heat and allow the syrup to cool. When the baba are cooked and still warm, pour the cooled syrup over the baba. Before serving, add a splash of rum if desired. To make the creme patissiere, place the egg yolks in a bowl, add the sugar and mix together. Sift the flour and add to the egg mixture. Place milk and vanilla pods in a pot and bring to the boil. Remove the vanilla pods and pour over the egg mixture slowly while whisking. Place the mixture in a clean pot and heat again to cook out the starch in the flour. Allow to cool. Once your pastry creme is cooked, fill the baba. Food of Naples - Authentic Neapolitan Cuisine by Johnny Di Francesco, RRP $45, is out now through New Holland Publishers Australia.